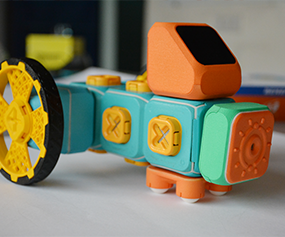 Tweak introduces robotics to kids (5 & above). It helps your kid to discover the joy of robotics in a safe, fun and enjoyable way. Tweak helps in overall development of the child by introducing them to coding as kids learn to write programs on their own using Tweak App, offers a “Make Your Own Toy” experience keeps engaged for hours and easy to assemble with snap-fit mechanisms.